We all listen to them, but do you know how the compression for an MP3 file actually works? [Portalfire] wanted to find out, while honing his Python skills at the same time. 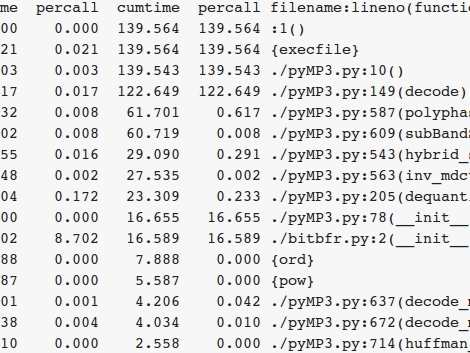 He’s been working on an MP3 decoder in the Python language. So far he’s had some success, with the first working decoder clocking in at just 34 times slower than real-time. But since then a bit of optimization improved that to 10 times slower. Sure, it’s not a usable module yet but his goal of learning the algorithms has been reached. A combination of reading about the standard and looking at code from other projects made that possible. In the future he plans to try the same thing with the H.264 codec. This interesting mashup shows it’s easy to make your own night vision goggles. It makes use of just a few parts; the viewfinder from an old camcorder, a low-light security camera module, and a collection of infrared LEDs. 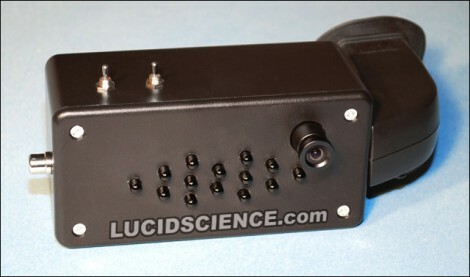 The low-light camera is capable of detecting infrared light, which is invisible to our eyes. If you shine the right IR LEDs on an object, they will cast enough light for the camera to clearly view the objects around you. 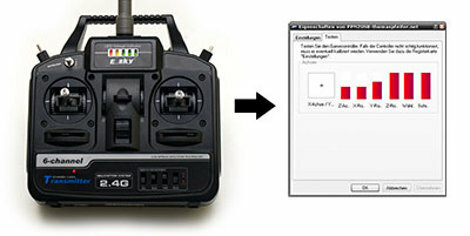 The camcorder viewfinder is nothing more than a compact way to display what the camera sees. This would be easy to accomplish with a wearable display. It is also beneficial to have a large IR light source so you may consider modifying that giant LED flashlight you’ve been meaning to build so that it operates in the infrared wavelengths. This project comes from the same source as the Laser Microphone we looked in on last month. Just like that one, there’s plenty of extra information about this build. There’s suggestions for choosing and focusing a light source. This includes using lasers as the source, and binoculars for long-range viewing. Processsing has come to Android. [Jer] posted a guide to setting up the software and coding your first Processing app for Android. The module which supports Google’s mobile operating system is not yet part of the stable Processing release but it works and is available to download and use. It provides support for Android version 2.1 and newer, playing nicely with the SDK to emulate your sketches during development. The Hello World app seen above uses just a few lines of code to draw a white box on an orange background. After you’ve installed and tested the tools you’ll be developing in no time. 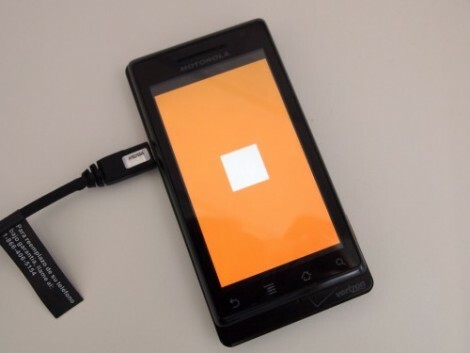 This makes a great addition to your Android development tool bag. [Gigawatts] built a pair of USB ports into his mouse and there’s enough room to plug-in small USB drives and dongles. After seeing Thursday’s storage mouse hack he decided to tip us off about the post. He started with a Logitech G5 gaming mouse. 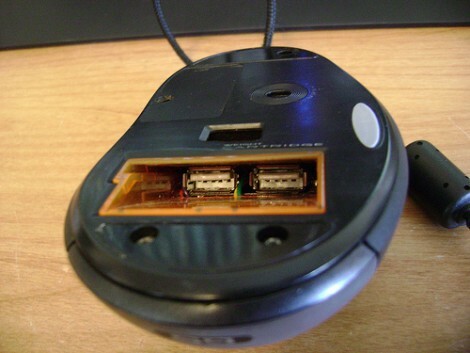 The wireless version of this mouse has a battery pack, but on the corded version this space is used for a weight cartridge. Since he didn’t really care about that feature he ditched the weights, added a USB hub inside, and positioned the dual ports as seen in the photo. The void is deep enough for the mouse to function normally while hosting medium to small-sized devices. This is a fantastic solution that’s at least as impressive as Apple adding USB ports to a keyboard. We’d love to see it as a factory option.